mAmerican Football is easily one of my favorite stories in music. The three-piece indie rock band recorded their first and only album (self-titled) in 2000. The album was released modestly, but slowly garnered critical acclaim. Shortly after its release, the band broke up due to them no longer living in the same city of Champaign-Urbana, Illinois. Then, over the course of a decade, the album grew a massive indie following of fans who adored the album’s lyrical simplicity and soft musical sensibility. In March 2014, Polyvinyl Records announced a deluxe edition of the band’s self-titled album, American Football, which includes the original nine tracks from its 1999 release, as well as 10 additional unheard demos and live recordings. The deluxe edition is available as a 180-Gram Red 2xLP, 2xCD, tape, and an MP3 download. The reissue charted at number 68 on the Billboard 200 chart. 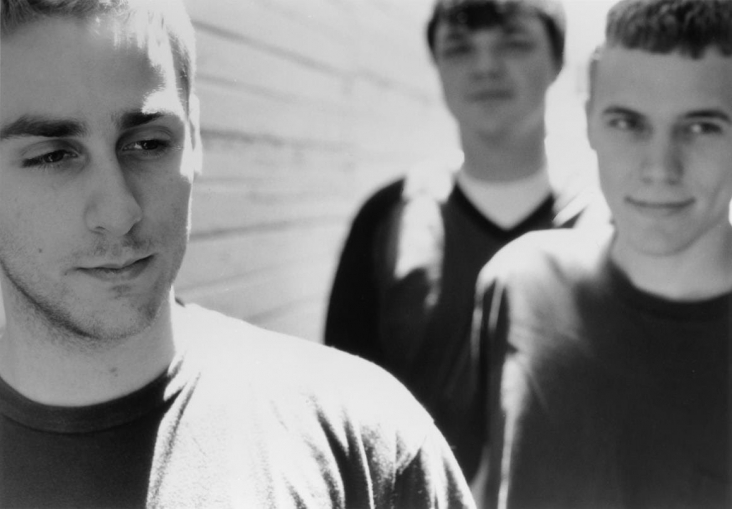 A month later, American Football announced they were reuniting for live performances. Holmes said the group realised that “the time was ripe for three middle aged dudes to play some old songs about teenage feelings, and stand around tuning guitars for a long time.” The band played their first show in 15 years in their hometown, and again later at a festival. They announced a show atNew York’s Webster Hall, which sold out immediately. So they added another show, which also sold out. So they added another. It all started a quick side project by three college kids. According to Lamos, the band simply referred to the material as “the B song or the C-sharp song” during the writing process. Each song is in a different tuning. He had a journal that he used lyrics from, though they were written “from years before that, so it was just like, “Yeah, that’ll work.”” The band went into the studio four days before two of the three members were leaving town with unfinished material. They agreed to finish putting together the songs in the studio in order to get the album released. The final product is this very addictive album of songs that paint a hauntingly true-to-life picture of all the feelings of growing up– watching relationships fall apart, trying to cope with change and learning move on. It puts you in a bittersweet dream state. The lyrics of the albums are so perfect because of how simple they are. They aren’t jumbled by anger and resentment– two major themes that would later become synonymous to the emo genre. In the album’s opening, “Never Meant” (one of my favorite songs), Kinsella sings: “Let’s just forget everything said/ And everything we did/ Best friends and better halves/ Goodbyes / And the autumn night / When we realized / We were falling out of love.” Accompanying the reissue of the album, the band released a music video for “Never Meant” directed by Chris Strong and perfectly matching the spirit of the track. The reunion tour was an explainable anomaly. Long after the band had gone their separate ways (one band member became a college professor), the band had earned cult status. They were still accumulating more and more fans without even acknowledging that the album ever existed. The word-of-mouth adoration for the band grew so much that at a certain point, there was almost an obligation to reunite. “We’re very aware of the ‘reunion craze’ that’s going on, with bands with prestigious careers reforming to do it all again. Ours is different in the sense that we never did this the first time round,” Lamos told DIY Magazine. 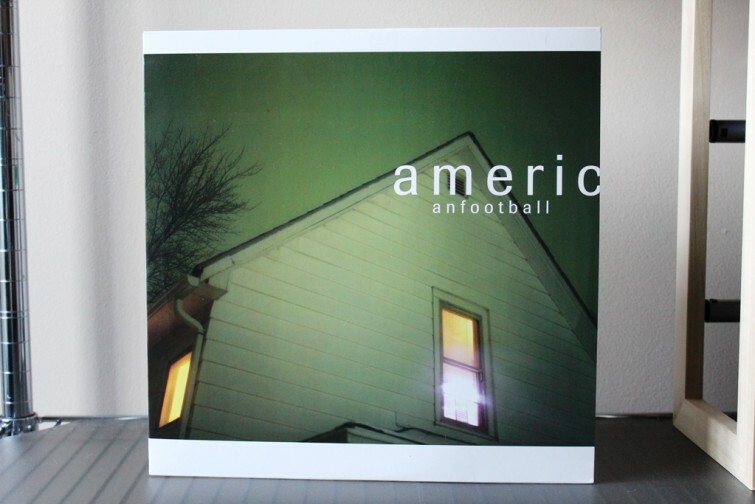 Even after 15 years with no new releases, “American Football” remains one of the most iconic emo rock albums ever released and one of the few that’s actually stood the test of time. The bands’ math rock and simple jazz influences and diary-style lyrics makes the band’s one and only album an essential addition to every record collection. This is a fantastic album…one I really need to own on Vinyl. I’d love to hear what else you have in your music collection….we have similar taste in music I think. College was my favorite time for music….I was way into that indie/emo/alt scene. Sunny Day Real Estate, Built to Spill, American Football, Hum….great stuff.